On this page you can find out more about the funding and grant programmes administered via Jersey Sport. The Travel Grants scheme backs Jersey’s sportsmen and women, helping with the cost of journeys to compete in events and training camps at a higher level. Last year, £119,000 of States of Jersey funding was distributed as part of their commitment to developing athletes. Those grants, administered by Jersey Sport, helped 32 different sports with approximately 3,000 journeys. We are now accepting applications for support with travel in 2019. The Jersey Sport Travel Grant Advisory Committee aim to reduce the administration for all involved with the travel grants process whilst continuing to ensure the requirements of the States of Jersey funding agreement are met. The Committee recognise sports have submitted detailed calendars of activity in 2018 and they do not wish to require sports to have to undertake the same administration burden where the levels of activity are likely to be similar in 2019. However, details are required if additional funding is requested and for new applicants, who did not receive grants last year. Closing date for 2019 applications: Due to the delay in the confirmation of the funding from the Government of Jersey, the travel grant application deadline has been extended until 22nd March 2019. Most sports have already submitted their bids but any remaining groups are encouraged to apply as soon as possible. Support coaches and officials, who have demonstrated a commitment to the development of their sport, to earn qualifications. In addition to sport specific qualifications, relevant support services may also be considered (eg. strength and conditioning). Bring specialist coaches or senior officials to Jersey to develop athletes, coaches or officials. Priority will be given to requests to develop more than one group (athletes, coaches or officials) in the same trip. To be considered for support, the level of coaching or officiating must be of a higher level than available on-island and a minimum of UK Coaching level 3 coaching, or equivalent, and the purpose for bringing the coach or senior official to the island must be made clear. Successful funding requests will be paid in arrears upon submission of relevant claim form with supporting receipts and only for islanders who complete and pass the relevant course, certificates will be required to support the claim(s). Funding requests will only be considered where relevant safeguarding policies and processes are in place. All funding from other sources related to these activities must be declared. Funding requests may be submitted relating to any part of 2019 and grants may be allocated retrospectively (from 1st January 2019). It is anticipated the requests for funding will far exceed the total available. Decisions will be based on the information available with a potential tiered contribution against the level of qualification, with priority given to higher-level qualifications. Funding requests are welcomed from sports associations who have a remit to support their relevant sport’s athlete and coaching pathways across the island. Requests may be accepted from clubs where an association does not exist. 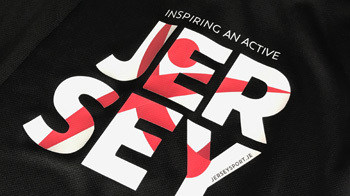 Funding requests may be made to: grants@jerseysport.je by completing THIS FORM by 26th April 2019.